The UAE has launched ‘Madrasa’, the largest free e-learning platform in the Arab world, a revolutionary new project under the umbrella of the Mohammed Bin Rashid Al Maktoum Global Initiatives (MBRGI). Launched by Sheikh Mohammed bin Rashid Al Maktoum, Vice President and Prime Minister of the UAE and Ruler of Dubai, the platform offers 5,000 world-class Arabic educational videos, on subjects including science and mathematics, and targets all levels of school students from kindergarten to grade 12. The pioneering project provides unique educational materials in Arabic, available online at no charge to over 50 million Arab students around the world and is the culmination of the Translation Challenge’, an effort to bring volunteers together to translate 11 million words of educational content into Arabic. 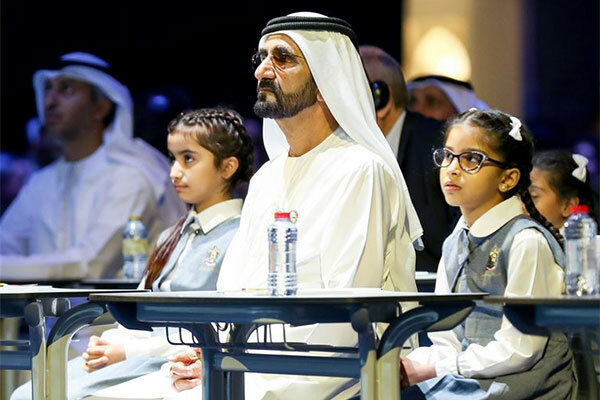 Announcing the initiative, Sheikh Mohammed bin Rashid Al Maktoum said: "Building a better future for our region starts in the classroom and e-learning can bridge the knowledge gap in the Arab world. Technology can offer millions of Arab students the opportunity to develop their scientific capabilities. We aspire to provide world-class education to every Arab child." The Madrasa e-learning platform is the first outcome of the Translation Challenge initiative, launched by His Highness Sheikh Mohammed bin Rashid Al Maktoum in 2017 with the aim of providing tens of millions of students in the Arab world with easy access to advanced, engaging and accurate audiovisual educational materials in Arabic. Madrasa is the culmination of hundreds of thousands of hours of hard work put in by translators, proofreaders, designers, technicians, and voice-over artists who volunteered for the Translation Challenge. The challenge aims to provide free world-class education to more than 50 million students, complementing the existing school system, enhancing educational content available in the Arab world, and empowering future generations to utilise their knowledge, hope, optimism, positivity, and self-confidence to contribute to an enlightened society. The project stems from the vision of His Highness Sheikh Mohammed bin Rashid Al Maktoum to foster education in the Arab world, ultimately bridging the gap in the quality of education provided across Arab nations and enhancing the overall levels of knowledge among their populations. In addition, the e-learning platform develops the educational system through establishing the ‘School of the Future’ concept. Viewing education as a flexible system that constantly evolves to keep pace with the latest trends and scientific developments, the platform also promotes the decentralisation of education – the cornerstone of building a sustainable economy based on knowledge and innovation that empowers a new generation of Arab scientists, innovators, and engineers. In the future, Madrasa will further enrich its content with new educational courses on subjects including Arabic language, computer science, engineering, programming, artificial intelligence, and space science. The platform will also build synergies with relevant leading institutions to advance education on a regional and global level. Madrasa’s minimal technical requirements and compatibility with the most common operating systems, such as Windows, Android, and Linux, enable users to access its free content across various electronic devices. The platform also features a variety of data storage solutions and search filters, allowing students to select information relevant to their level of knowledge. Madrasa seeks to motivate Arab students to study scientific materials outside their regular school lessons through providing engaging and challenging content that encourages continuous self-learning, sourced and localised in line with the highest standards and international curricula. It also develops the learning capabilities of users, enhances their competitiveness and creativity, and sparks their scientific curiosity.